Mother’s day Getaways Starting $99 per night. 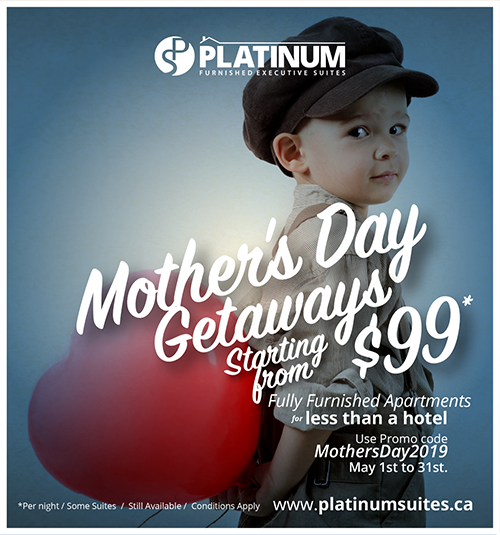 What At Platinumsuites you can spend some quality time with your mom using our Mother’s day offer. How to Claim Use code mom2019 to claim * Valid from May 1st, 2019 to May 31st, 2019. 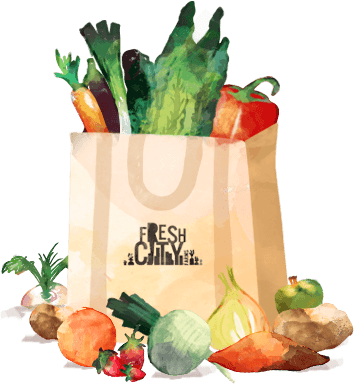 What Take 40% off your first order from Fresh City, and get local + organic groceries delivered right to your door! At Downsview Park, Fresh City Farms organically grows on six acres and in a greenhouse, which includes an aquaponics system. It’s where we run farm tours and events as well as many of our workshops. How to Claim Sign up online at www.freshcityfarms.com using promo code FRESHPLATINUMFor more information. 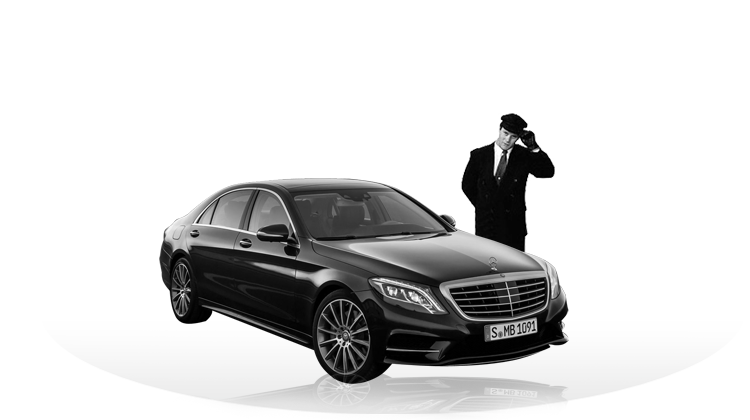 What Get a Platinum Suites discount when you book a limousine through our trusted partners for airport pick-up or other travel needs. How to Claim Let us know when you are booking your suite and we will make sure we apply the discount. 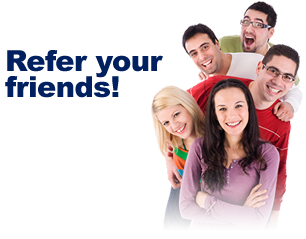 Or contact us directly while you are staying with us to arrange drop off or pick up for someone else. What We love your referrals. And we get a lot of them! Let us reward you with a special bonus gift if you refer a friend for a stay in one of our suites. How to Claim Let us know if someone you know has booked a suite for a month or more because of your recommendation. We will give you a token of our appreciation!